Bridal sneakers don’t have to be white. 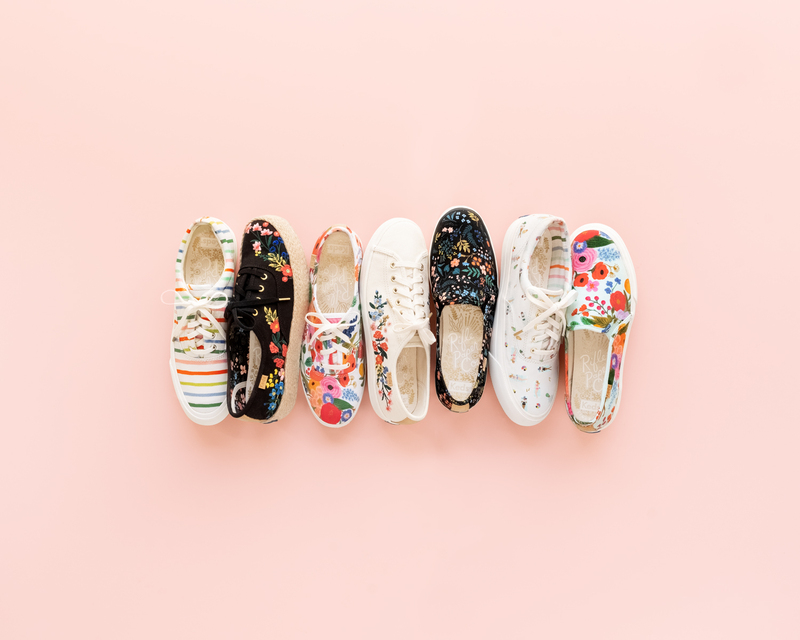 In fact, Rifle Paper Co. just dropped a magical new collaboration with Keds that will bring flair and personalization to the next level as you plan your wedding this year. 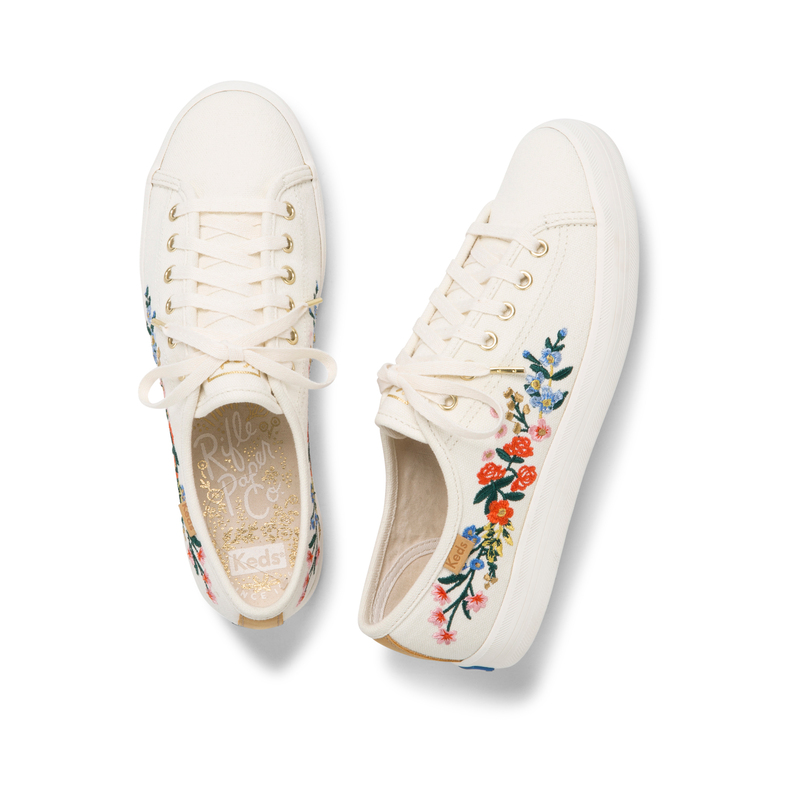 The stationery brand helmed by Anna Bond, best known for its whimsical floral illustrations in pleasing color palettes, dropped a fifth collection with the sneaker company in time for your wedding planning needs—especially as you select your wedding invitation suite and set up your wedding website. The newest launch features lush landscapes and bold colors all inspired by the playful folk art of the Caribbean, all of which were heavily inspired by Bond’s travels to the Dominican Republic. 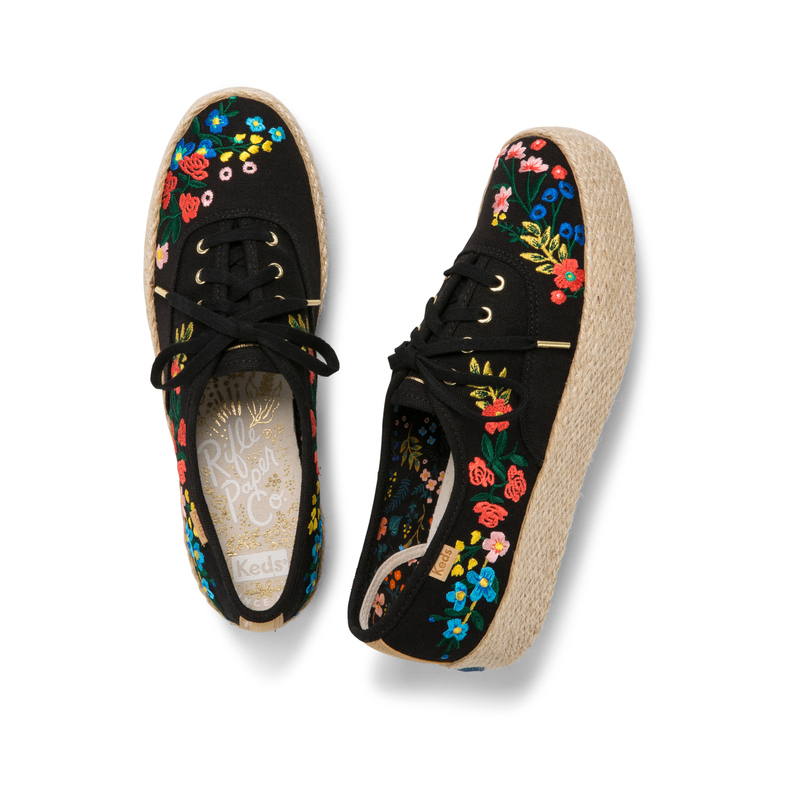 Prints range from a black canvas sneaker decorated with fun pops of colorful florals all the way to a white canvas shoe embellished with mini figures on pool floats. 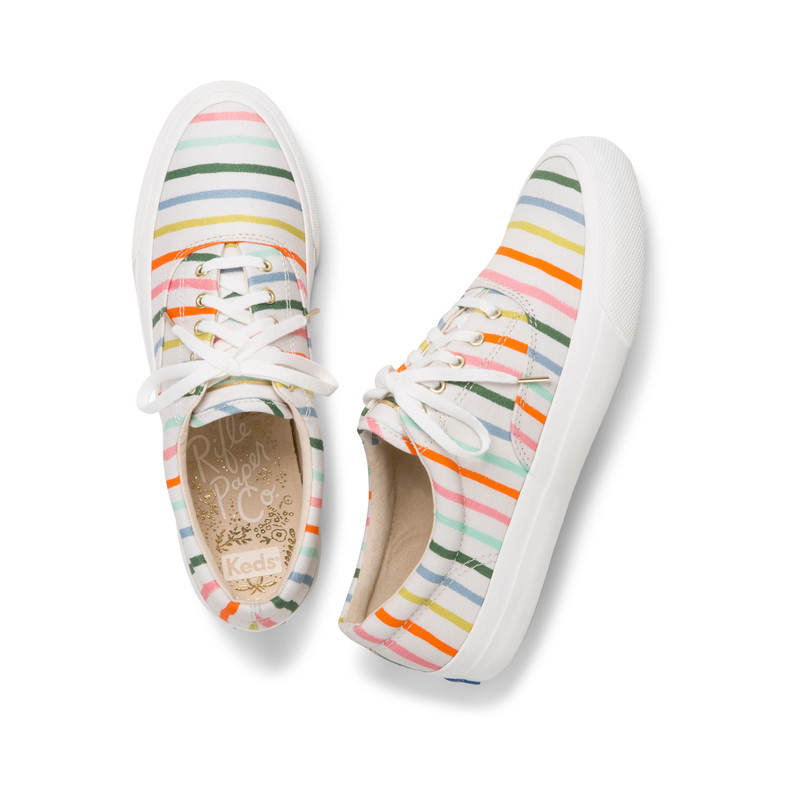 Prices for the sneakers range from $59.95 to $79.95 all now available on Keds.com. Now add that to the shot list. Start your wedding website with The Knot here and secure your ideal wedding vision by taking the Style Quiz. 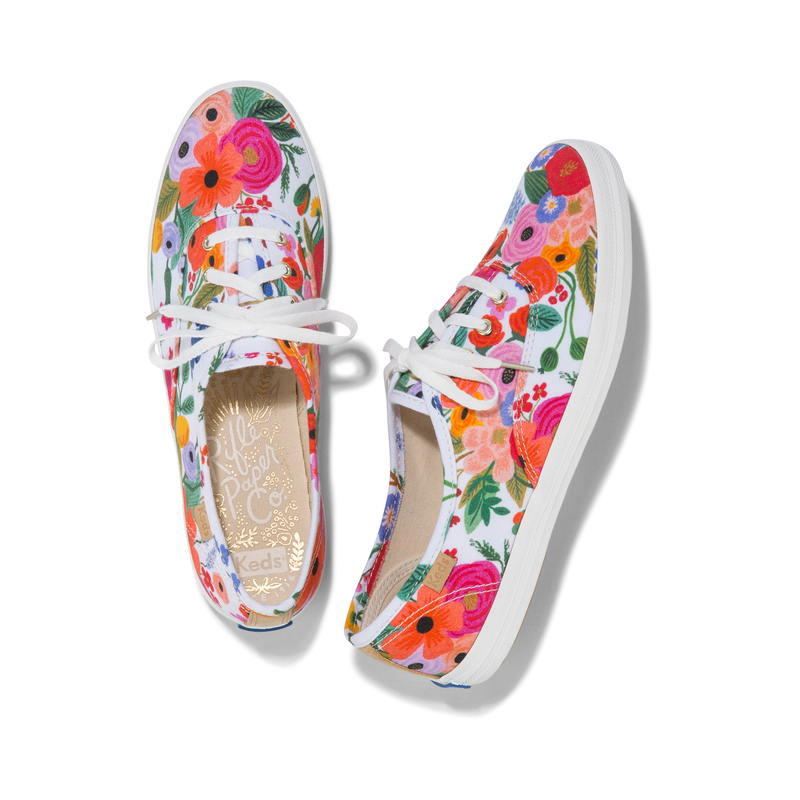 Be the first to comment on "You Can Coordinate Your Wedding Website and Stationery to Keds and Rifle Paper Co.’s New Collection"